A few days ago I shared a really interesting extract about a mothers endeavour to stop over parenting her children. This particular extract (available here) focuses on how her over parenting had lead her child to be unable to tie his shoelaces at age nine. We are lucky enough to live in a society in which our children are emotional assets; meaning we have kids because we want kids and they will make us happy. Not because we need them to plough the fields or earn us an income. This leads itself to us becoming hugely invested in every second of their life. We all are guilty of trekking after our little (and big) ones to various activities, standing on side lines in the cold, lovingly mending broken toys, buying new ones, indulging them in too much TV and endlessly picking up after them. I like to think that I encourage Seb to pick up after himself and at only two he is quite good at tidying away toys. But I'd be lying if I didn't say that it is often just easier and quicker to do it myself and then I don't have to have an argument with anyone! 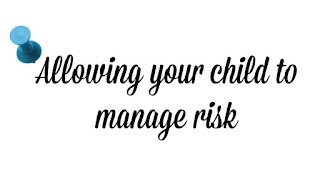 Over protectiveness is hugely linked to how we allow children to manage risk. Managed risk in children's life is so important as it encourages and allows children to learn how to manage difficult situations and confrontation, builds self confidence and fundamentally is usually quite fun. If you compare your childhood to your own child's now, you will see what a loose leash you were given by your parents comparably to now. Maybe you walked alone to school at a younger age, maybe you were allowed into the fields or woods near your house, maybe you were allowed to play outside until dark? We are all guilty of being over protective at some point. 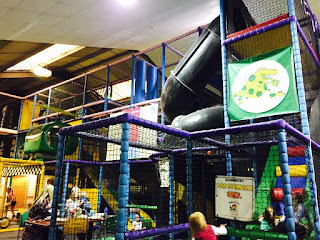 I had to sit on my hands in a huge soft play area the other day because Seb wanted to go into the big children's area on his own. Who am I to say no? What more of a managed risk could you ask for?! 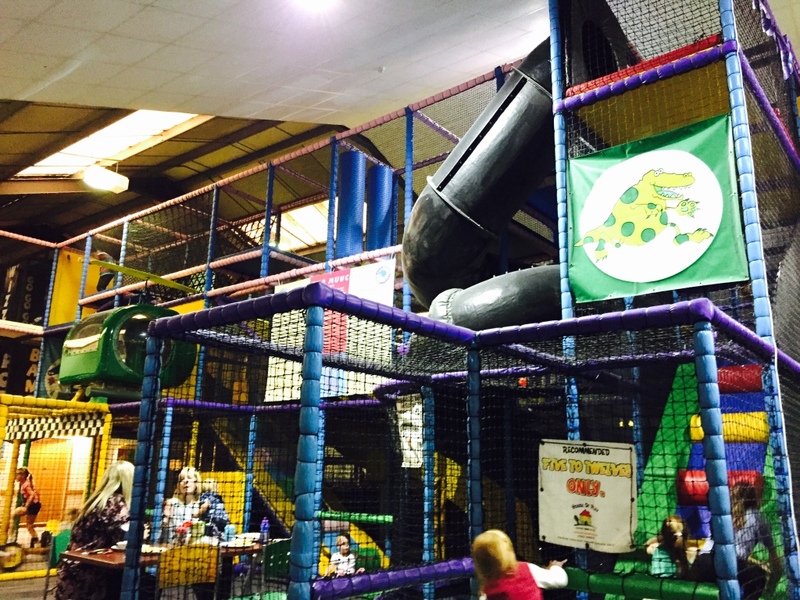 It is a totally contained soft play. What was the worst that could possibly happen? Of course he looked tiny next to the 4/5/6/7+ year olds but he didn't care. He had an absolute whale of a time and I sat nervously watching to see him appear at any of the netting areas on my side of the mammoth maze. Ask yourself 'why?' Why am I saying no? Why am I doing this for my child? Why can't s/he do this for themself? Don't run when they fall over. Naturally, this does not mean completely ignore them. Young children look to you for how to react to situations, if you are dramatically running over to them looking terrified, chances are they will cry and you won't actually know how bad the injuries are, if any! If you calmly say "whoopsie! Up we get!" you will quickly learn whether they are really hurt or maybe just need a quick brush down and off they pop. Encourage them to do things for themselves where possible. I don't mean abandon them to do the dishes, but allow them to try. In our swimming lessons, if our child throws themselves from our arms we are encouraged to allow them to go under the water before picking them up again. This both allows them to know the risk of being on their own in the water but also permits them to try and learn further what they can achieve unaided. Each time you do something new with your child, take a little step back and see how much they can do alone. You might be surprised. It isn't easy. And sometimes it goes against your nature and need to protect your young. But it will honestly create a greater generation of adults who are confident and capable. Let me know your thoughts in the comments box below.